I’m the author of the Imprisoned one of the first user-contributed games for Choice of Games. I kinda neglected it for these 5 years for various reasons, but I still keep getting messages here and there that people can’t finish the game and reach the ultimate ending, so I decided to patch it up. And who knows, maybe if I get hooked again I may even resurrect my second project “The Orc”. We’ll see. Won’t promise this time. 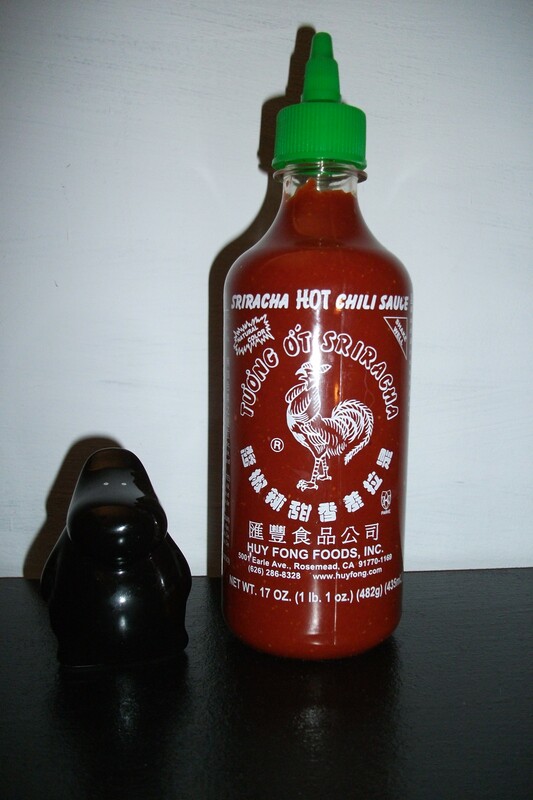 Say hi to my little Sriracha! Today I got my early birthday present. Something I didn’t expect, yet I really wanted – Sriracha Hot Chili Sauce (with roster, not a lame duck!). Of course I’ve already tasted it and you know what? It’s AWESOMELY HOT. And don’t be fooled – that doesn’t mean TOO HOT – that means PERFECTLY HOT. Of course that’s not the only reason for taking such a big step in my career. Among the several others there was also a need to learn about living and, of course, a plan to earn helluva lot of money. It was an inspiring step I must admit. Despite the fact I’m running my own company for less then 2 weeks now, I’ve already learned much about taxes, insurances, accounts etc. Nothing very interesting for a common folk, but a great deal of information for someone like me, who likes to know how the world goes round. For the bad news – I can’t get the domain I wanted (also I won’t tell which it is to avoid competition) and I have to try to hunt it in a couple of months and for now try to find a backup one. Hopefully that would be the biggest problem this year. Nice Peter follows me on Twitter! THAT IS AWESOME. Really, I’m very happy about it, even being one of 5887 other girls and guys. And if you don’t know who the Nice Peter is yet. Here you go http://www.youtube.com/nicepeter educate yourselves! That kinda made my day, and only 20 minutes have passed already. With the first movie I played in going online I finally had to put this blog together. Finally I’ll have some place to write everything I want to without limits or restraints. Myth Thrazz | Powered by Mantra & WordPress.